If you’re a baseball fan, you’ve probably been to plenty of home games, but have you ever followed your team to root for them on the road? They need some friendly voices in the crowd, so you can accomplish two things by taking a trip to a new ball park. Support your team at the game – and then explore a new city. After you check the schedule, decide where to go, and buy a ticket, you can start planning your trip. Hotels, restaurants, highlights, night life? Even if you’re an avid fan, this trip is not just about baseball. These out-of-town ballparks are in diverse cities you might not otherwise visit. Spend a day or two before or after the game, see the sights, sample local specialties and regional foods, and get to know a new town. No need to rent a car or figure out directions or parking, because most parks offer convenient transportation. Just remember to pack your team’s colors and be ready to cheer them on. The World Series Champion Cubs and American League White Sox both play in Chicago, so after seeing the Cubs at classic Wrigley Field or the Sox at Guaranteed Rate Field, don’t miss a chance to explore the Windy City. With many hotel options, you might decide on the trendy ACME Hotel Company. It’s a stylish, hip downtown hotel with in-room Alexa and DIY cocktail kits. 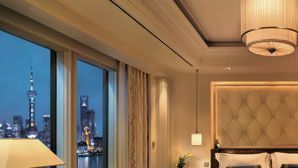 The Magnificent Mile, an upscale section of Michigan Avenue, offers several choices including the luxurious Conrad and Four Seasons. Millennium Park in the downtown Loop area near the shore of Lake Michigan is the home of the iconic Cloud Gate, a 110-ton polished stainless steel sculpture nicknamed “The Bean” because of its shape. Be among the crowds taking selfies each day in that popular spot. The Museum of Science and Industry, the largest science museum in the western hemisphere, is an entertaining and educational option. Art lovers shouldn’t miss Chicago’s Art Institute, home to the works of famous artists Picasso, Caillebotte, Seurat, and Grant Wood. You can take a cruise on the Chicago River to view the impressive skyline and architecture of the city, including the Chicago Tribune Tower, the Chicago Board of Trade, John Hancock and AON Center. From sea level to the 103rd floor of the Willis Tower (formerly Sears Tower), “The Ledge” lets you stand outside on a glass and steel cube – not for the faint of heart. Chicago is a foodie town, from its signature deep dish pizza and Chicago-style hot dogs to fine dining and celebrity chefs. For a special meal, Cindy’s Rooftop offers inventive food and an open-air terrace with a panoramic view of Millennium Park and Lake Michigan. Al’s #1 Italian Beef sandwich is a Chicago food creation: thinly sliced beef in a juicy bun with sautéed peppers. At the baseball game, you just might be munching on a snack first sold at the 1893 Chicago World’s Fair – that famous stadium treat, Cracker Jacks. Year-round perfect weather and conveniently located downtown Petco Park make San Diego a great place to visit when your team plays the Padres. Fifteen minutes from the airport, with many hotels within walking distance of the stadium and entertainment minutes away by trolley, you’ll quickly feel right at home. Stay at the U.S. Grant, an elegant hotel full of old-world charm, or try the “contemporary and unpretentious” Hotel Z in the historic Gaslamp Quarter for free internet, bicycles, and pineapple cupcakes daily. If you want to walk to the stadium, opt for the Hard Rock Hotel. Richard Walker’s Pancake House is a place to start your day with huge portions of breakfast specialties, worth waiting in line for, according to regulars. Liberty Public Market, a short distance from downtown, is a 22,000-square-foot food and shopping destination. Go there to shop fresh produce or enjoy prepared food – try the lobster rolls at Wicked Maine Lobster or the fried oyster po-boys at Cane Patch Kitchen – pick up wine at the Grape Smuggler, and head to Crafted or Scoop for dessert. Balboa Park, 1,200 acres of gardens, walking paths, museums, and theaters, can’t be missed. Among San Diego's 16 museums are the Ruben H. Fleet Science Center, the Natural History Museum, and the Model Railroad Museum. For evening entertainment, a mechanical bull awaits at Double Deuce. Or, end your busy day at a casual bar like Whiskey Girl or The Tipsy Crow for music and dancing (or just sipping and watching). Target Field, home of the Minnesota Twins, is located in the historic warehouse district of downtown Minneapolis, with views of the city’s skyline from the Budweiser roof deck. The convenient stadium can be reached by bus, light rail, bicycle, or on foot. Opened in 2010, there’s a bit of nostalgia when a Twins player hits a home run – a 50-year-old “Shaking Hands” sign lights up, symbolizing the Twin cities of Minneapolis and St. Paul represented by the characters Minnie and Paul. For an authentic local experience, as well as convenience, stay at the Hewing Hotel in the warehouse district. The historic building has been renovated and is now a hip, luxurious hotel with spacious rooms and a rooftop pool. The upscale Loew’s Minneapolis Hotel downtown includes the full-service Embury Spa, where you can be pampered after the game with a massage or facial. The history of Minneapolis is also demonstrated in its restaurants, with the Spoon and Stable housed in what was once a home for horses back in 1906. Today its kitchen is run by a James Beard Award-winning chef. Gluek’s Restaurant and Bar, serving food since 1934, is in a classic brick building originally built as a warehouse in 1855. It offers live music along with brew house favorites like bratwurst, pulled pork, schnitzel, and burgers. Visitors should see the Stone Arch Bridge, a National Civil Engineering landmark with panoramic views of St. Anthony Falls. Visit First Bridge Park, the site of the first permanent bridge to span the Mississippi, where you can walk or bike along the river’s edge. Or stroll along the curving seawall to see the artist-designed whimsical bronze sculptures of water creatures. Learn more about the area’s past in Mill Ruins Park, which shows the ruins of abandoned flour mills. You can tour Paisley Park and glimpse Prince’s 65,000-square-foot home and studio. Spend an evening at the Acme Comedy Club for live standup acts, or sing along with dueling pianos at The Shout House. The Cleveland Indians play their games at Progressive Field, part of the downtown Gateway Sports and Entertainment Complex. A favorite feature of the ballpark is the “Right Field District” with its fire pits, craft beers, and view of the Cleveland skyline. In the Neighborhoods area, the concessions serve dishes that represent popular locales in Cleveland and their cuisine – bratwurst, pretzels, burgers topped with barbecue mayo, tacos, pierogi, and old fashioned ice cream sundaes. If you decide to save your appetite until after the game, you have lots of choices in downtown Cleveland. Slyman’s Restaurant, a Cleveland classic, serves gigantic corned beef sandwiches to hordes of customers waiting patiently for the mile-high delicacies. Sokolowski’s University Inn, the city’s oldest family-owned restaurant established in 1923, specializes in Polish and Eastern European cuisine with menu favorites such as chicken paprikash, stuffed cabbage, pierogi, and Salisbury steak. For an array of fresh produce, baked goods, seafood, meats, spices and nuts, head to the West Side Market, Cleveland’s oldest public market. Stay at the Hyatt Regency Cleveland at the Arcade with its stunning historic architecture, and you can walk to Progressive Field and other downtown attractions. The Westin Cleveland Downtown offers a convenient location, first class rooms, and a view of Lake Erie. When in Cleveland, don’t miss the Rock & Roll Hall of Fame with its photos, videos, and artifacts that detail the history and evolution of rock and roll. (Cleveland’s own DJ Alan Freed is credited with giving rock and roll its name in the early 1950s.) The U.S.S. Cod Submarine Memorial, open May through September, is a National Historic Landmark and a must-see. Visitors are amazed at the small quarters aboard the sub and quickly develop a greater appreciation for the men who served there. For nighttime entertainment, there’s the Jack Cleveland Casino downtown with slot machines, table games, and a buffet restaurant. Before you leave town, be sure to visit the North Coast Harbor Marina. Go for a paddleboat ride, and be sure to take some souvenir photos of the Cleveland Skyline and beautiful Lake Erie. PNC Park, home to the Pittsburgh Pirates, is known for its extraordinary views of the Allegheny River, downtown Pittsburgh skyline, and Roberto Clemente Bridge. Some fans wait in boats and kayaks hoping a ball will splash down near them. The ballpark is accessible via the Pittsburgh subway system, and on game days the Roberto Clemente Bridge is closed to traffic so fans can park and walk across to the stadium. Statues honoring Pirates Hall of Famers Honus Wagner, Willie Stargell, Bill Mazeroski, and Roberto Clemente can be seen outside the ballpark. Just a few subway stops from PNC Park, the Omni William Penn Hotel is a historic hotel renovated to first class standards with old world luxury. The Priory Hotel, once a Benedictine Monastery, is another example of historic lodging with modern conveniences. The Kimpton Hotel Monaco is a unique Pittsburgh hotel option, with welcoming yet quirky touches throughout, housed in a 1903 Beaux Arts building. From fine dining to casual eateries, Pittsburgh has many choices for the hungry traveler. Start your day with pancakes or crepes at Pamela’s Diner, a popular eatery with a few locations, including downtown Pittsburgh. If you're in Pittsburgh for the first time, hitting the classic spots is a requirement, even though the chipped chopped ham barbecue sandwich at Isaly’s may not sound too appetizing at first. Another well-loved sandwich purveyor is Primanti Brothers, whose specialty is grilled meat, coleslaw, tomato slices, and french fries between two pieces of Italian bread. That’s just lunch. For dinner, try Altius, fine dining with spectacular city and river views. The world’s largest bicycle museum, Bicycle Heaven, displays around 4,000 vintage and collectible bicycles. They sell, rent, and repair bikes, and admission to the museum is free. Pittsburgh, surrounded by three rivers, is considered one of the best kayaking cities in the U. S. There are water trails, rapids, and wilderness areas to explore. Paddling on the North Shore, you can pass by PNC Park for another view of the stadium. Safeco Field, home to the Mariners, is a downtown stadium surrounded by buildings, city streets, and a railroad line. It sports a retractable roof, real grass, and views of the Seattle skyline. Get there by train, bus, streetcar, or even a ferry or water taxi with about a mile walk from the pier. The Silver Cloud Hotel is across the street, convenient to the game and then to entertainment and dining at nearby Pioneer Square, but you might not want to go further than their rooftop pool. The Kimpton Hotel Monaco, a downtown boutique hotel, would be another great choice with a hosted wine hour each evening, complementary bicycles, and a yoga mat in each room. The famous Pike Place Market is beloved by locals and tourists alike for fresh seafood, produce, flowers, handmade items, baked goods, and cafés. The Waterfront area is another option for a variety of shops and restaurants offering local specialties like oysters and salmon. Take a ride on the Seattle Great Wheel at Pier 57 with spectacular views of the city and Olympic Mountains from its enclosed gondolas. There’s an aquarium and a downtown library housed in a unique building made of over 10,000 panes of glass. Before you head out of town, take a cruise on Elliott Bay for a last look at downtown Seattle, the Olympic Mountains, Mount Rainier, and Puget Sound. The City by the Bay has a baseball stadium by the bay, the San Francisco Giants’ AT&T Park, where local fans in boats make a game of waiting in McCovey Cove for a home run ball and then competing to retrieve it. A favorite pre-game gathering place is China Basin Park along the shore of San Francisco Bay, with views of the stadium and the bay. You have many hotels to choose from, but consider the boutique Hotel Vitale, on the Embarcadero waterfront. Another possibility is the contemporary boutique Hotel Zelos in the convenient Union Square area. Its Dirty Habit Restaurant is an intimate spot for cocktails on an outdoor patio. The Ferry Building on the Embarcadero is not only a terminal for seagoing trips, but it’s also a food hall with an assortment of choices including wine, beer, coffee, artisan foods, cheeses, oysters, meats, cafés, and unique shops. And if it's fresh seafood or traditional Italian dishes you crave, don't miss the famous Fisherman’s Wharf restaurants. To mark the city's most iconic sites off your list, visit Golden Gate Park, walk or bike across the Golden Gate Bridge, or take a boat ride and tour of Alcatraz. This year is the 50th anniversary of the “Summer of Love,” and San Francisco is celebrating with special exhibits at the De Young Museum featuring “Art, Fashion, Rock & Roll,” with posters, photographs, music and light shows, costumes, and textiles. The Walt Disney Family Museum has a poster exhibit, and the San Francisco Public Library is showing photos, newspapers, posters, flyers, record albums, and manuscripts. This is your chance to revive memories, or learn about the 1967 birth of the hippie culture at its source in San Francisco. From Busch Stadium, home to the St. Louis Cardinals, you can see the city’s skyline and its iconic Gateway Arch. Beyond center field is Ballpark Village, a new dining and entertainment district with food, drinks, music, a summer concert series, and viewing areas. At the stadium, there’s the Anheiser Busch Beer Garden and Cardinals Nation Restaurant with 300 rooftop viewing seats. If beer is your passion, you've come to the right place – the Anheiser Busch Brewery offers tours, a beer garden with a full menu, and an opportunity to see the world famous Clydesdale horses in their stables. The Schlafly Tap Room also offers brewery tours and “pub grub” to go with your beer. The 630-foot Gateway Arch, built to honor America’s westward expansion and explorers Lewis & Clark, features a tram ride which is scheduled to open in late April. Or, take a one-hour riverboat sightseeing cruise to learn about the Mississippi River and history of St. Louis from a National Park Service Ranger. Blues and barbecue are St. Louis specialties, so visit the Blues City Deli for all that plus po-boys and muffulettas. Bogart’s Smokehouse is a favorite for down home barbecue, pulled pork, brisket, and ribs. As for where to rest your head after all that eating, drinking, and exploring, the historic Drury Plaza Hotel at the arch is just two blocks from the stadium. The boutique Magnolia Hotel, also near the ballpark, is said to be the originator of chocolates on pillows based on an idea by Cary Grant. Mmmmm. Good night! Located in Canada’s most populous city, the Rogers Centre in downtown Toronto sits near the northern shore of Lake Ontario. Described as one of the world’s most culturally diverse cities, Toronto is home to the Blue Jays. Summer is the perfect time to visit, with festivals every weekend. Toronto's CN Tower, one of the Seven Wonders of the Modern World according to the American Society of Civil Engineers, is a great spot for entertainment, incredible views, and dining. Views come in the form of multiple options: Adventure lovers can try the “Edgewalk,” 116 stories above the ground, hands-free (harnessed to a safety rail). Only slightly less scary is the Glass Floor, where you can stand (or crawl or jump) on a clear glass panel and look down 1,122 feet to the ground below. At 1,465 feet, take in the city from the Skypod, and then ride the high-speed glass-paneled elevators to the top. When your stomach catches up, head for the revolving 360 Restaurant for Canadian cuisine. For something calm and cultural, take in the Harbourfront Centre, 10 acres on the shore of Lake Ontario, featuring music, dance, visual arts, and festivals. Many hotels are available near the Rogers Centre, but at the Renaissance Toronto Downtown Hotel, you can actually watch the baseball game from your room. Visit Lavelle, a rooftop 16 stories above the city with a restaurant, lounge bar, pool and cabanas, along with 360-degree views of the city, and you may never even make it to the baseball game. The Royals play at Kauffman Stadium, known as “The K,” featuring “Water Spectacular,” a unique fountain and waterfall display behind the right field fence. The waterfall flows constantly, and the fountain does its thing between innings and before and after the game. You can’t be in Kansas City and not sample – at least a few times – its famous barbecue, slow smoked over wood and slathered in a tomato-molasses sauce. The slightly charred “burnt ends” are a specialty. 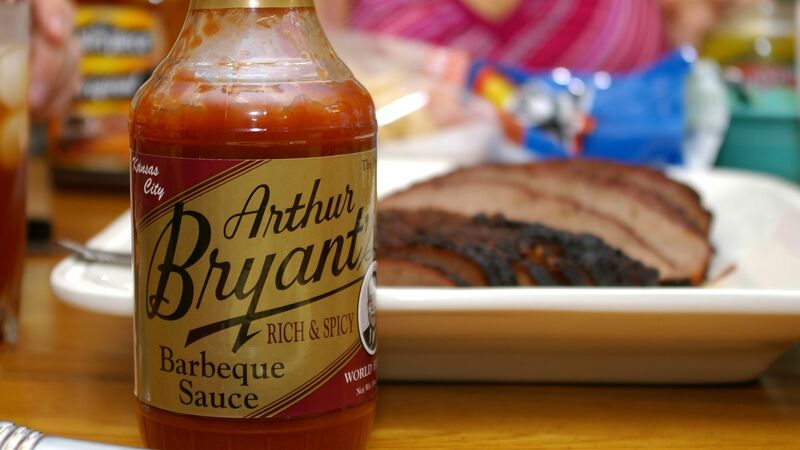 Near the ballpark, you can find a favorite of celebrities, athletes, and ordinary folks alike – “King of Ribs” Arthur Bryant’s restaurant, serving smoked meats with your choice of Original or Rich & Spicy sauce. Another favorite, Q39, was the winner in a recent burnt ends competition. Scoping out the best barbecue is not the only thing you can do in Kansas City. Visit the National World War I museum, the nation’s only public museum dedicated to World War I and a memorable educational experience. Listen to live honky-tonk music at Knuckleheads Saloon, jazz at the Green Lady Lounge, or blues at the Phoenix or Blue Room. For a bit of fun and nostalgia, visit one of the arcade bars that combine food and drink with fun and games. Up-Down, an '80s and '90s themed bar is equipped with a giant Nintendo 64, pinball, skee-ball, arcade games, and TV screens showing classic wrestling matches and episodes of "Saved by the Bell." This city is so big, it has two major league baseball teams – the New York Yankees in the Bronx at Yankee Stadium and the New York Mets at Citi Field in Queens. Both ballparks are easily accessible via public transportation, with subway lines into each park and trains from Grand Central Station in Manhattan to Yankee Stadium on game days. 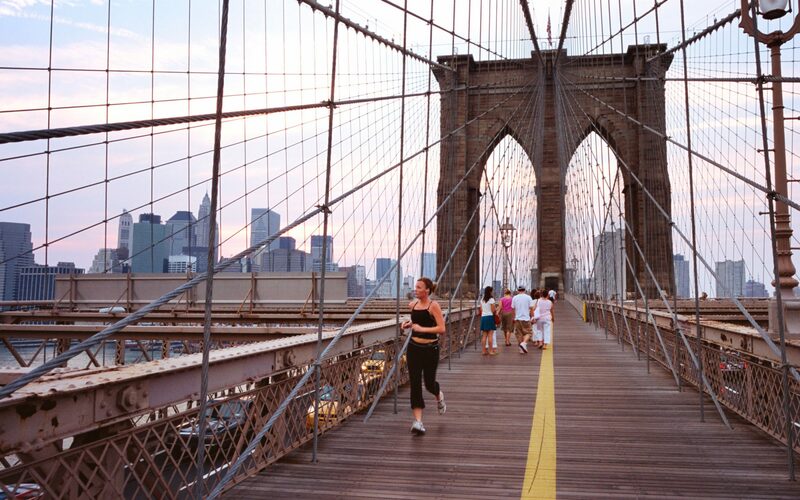 Staying in exciting Manhattan or hip, trendy Brooklyn is a no-brainer with lots of hotels, restaurants, and subways to get you to the ballparks. But going to a Yankees or Mets game – or both – is your chance to explore the other boroughs many tourists don't venture into. Citi Field replaced Shea Stadium on the Flushing-Meadows grounds of the 1964-65 and 1939 World’s Fairs, so there’s lots of history there, plus a nearby Chinatown in Flushing with a choice of fabulous restaurants. If Chinese food isn't your thing, diverse Queens offers cuisines ranging from Mexican, Tibetan, and Thai to Greek, Indian, and Korean. In the Bronx (New Yorkers always say the Bronx), Arthur Avenue is the home of its own “Little Italy,” considered by many New Yorkers to be the “real” Italian area, not just for tourists. There are authentic delis, restaurants, butchers, and cheese shops. Queens and the Bronx have so much to offer, without the crowds and prices of Manhattan. If you’re interested in that other borough, Staten Island, you can actually go for free (yes, free!) on the Staten Island Ferry from lower Manhattan and enjoy some of the greatest views of New York City on the way to a minor league Staten Island Yankees game while patting yourself on the back for finding a bargain in The Big Apple.